You are here: Home / Property and Divorce / Should I Keep The House For My Kids During Divorce? Keeping the house during divorce may be the best decision for the stability for the children. In some cases, keeping the family home after divorce is not the best option for either of the spouses or the children. When this is the situation, custodial parents often need to find a new home for them and their children to live. Leaving a family home and moving into a new environment can be hard for children regardless of their age, especially given all the other changes they are experiencing after their parents have divorced. Moving to a new home with children has challenges, but here are some ways parents can make the transition to the new space smoother for everyone involved. There are many things to consider when divorcing and finances are included on this list. If the home was purchased with two incomes, one ex-spouse may not be able to afford to keep it on his or her own. In addition to the mortgage payment, property taxes, and homeowner insurance, expenses include utilities, maintenance, and repairs. Parents who are planning to move far away from their family home with their children after divorce should look at the laws of their state. Every state has its own laws that govern relocating with children after divorce. For example, some states require the custodial parent to notify the non-custodial parent in writing about the relocation to give him or her the opportunity to protest the move in court while other states do not require notification of the relocation unless it is going out of state. 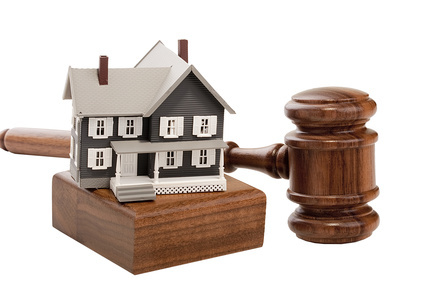 To ensure the move goes smoothly from a legal perspective, make sure to be prepared. In order to retain the home, one spouse may need to purchase the other spouse’s equity in the property. This may involve a cash payment or giving up other assets that are owned jointly. It may be possible to refinance the home mortgage for an amount that exceeds the mortgage balance and use the proceeds to pay the other spouse for his or her equity in the home. Keeping the home may seem to provide stability during an otherwise chaotic time. An ex-spouse may opt to keep the house for a short time after divorcing and then make a long-term decision after settling into the new lifestyle. Others decide that selling the home is the best choice because it harbors unhappy memories shared by the children. It is sometimes best to make a clean break and start fresh. Selling the home may seem like it would put the divorced couple in better financial standing, with some cash to use for a down payment on an individual residence. This is not always the case. A divorcing couples should consult with their family law attorney and real estate agent to determine how much they can sell their home for and what selling costs are involved, then subtract the mortgage balance from this figure. If one spouse decides to keep the house after being granted child custody during divorce, the other spouse should have the home appraised. This ensures that the spouse who will not reside there receives a fair amount of money or assets in exchange. If the couple wins joint custody in divorce, the spouse who lives elsewhere will need to adjust to the fact that this house is no longer the family home. Even if there are unanswered questions regarding the relocation, and it is causing the parents anxiety and stress, it is important to portray the move as a positive one for both the parents and the children. Make sure to be honest with children about the changes they will experience, such as sharing rooms or moving to a new school, but make sure to be confident and positive with the children to let them know it will all be okay. During this time, make sure to acknowledge the children’s feelings and hesitations, letting them know it is okay to feel sad or worried during this transitional time. As with any big change in life, children need time to adjust to their new home and new environment. It is unrealistic to expect children to be comfortable or excited during their first night in a new place, especially if they are leaving the only home they have known their entire lives. Keep in mind that younger children may adjust more quickly since they may not have formed emotional attachments to the previous home and that older children may have a harder time. Make sure to continue with a positive attitude while also allowing the children to express their feelings during the process. when does the home value need to be appraised? I got several evaluations when we split my ex held up the divorce for a year a equity has now gone up.